Looking good, hon! Luv the dress!! 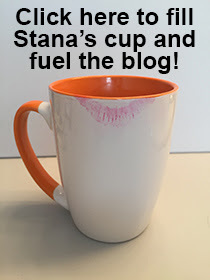 Another triumph, Stana! You look absolutely lovely. I love your dress and your shoes! How do you manage all day in heels like that?? I look forward to hearing about this weekend! Your looking good Stana. Were there new interesting rigs at the show? Someone on HamSats Yahoo group mentioned the Icom IC-9100, however the rep from Icom was not releasing very much information. I understand the price to be around $3500.00. Judging from the smile on that beautiful face, it will be a great account!